Autosearch. 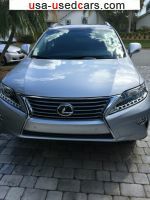 cars for sale in Florida , Fort Lauderdale on used cars USA. Search results. Found 90 advertisements. Gasoline , Automatic , drive: front-wheel , coupe , 2 doors , White , 49128 th. miles , condition: Good , If you have any questions feel free to email: eloisaejjamili@bikemechanics. com . Gasoline , Automatic , drive: front-wheel , 4 doors , Silver , 10107 th. miles , condition: Excellent , If you have more questions or want more details please email : refugiorsstreva@tottenhamfans. com . Gasoline , Manual , drive: rear-wheel , coupe , 2 doors , Silver , 35175 th. miles , condition: Good , Please message me with questions at: nievesnsshandro@oneuk. com . Gasoline , Automatic , drive: rear-wheel , coupe , 2 doors , Gray , 620 th. miles , condition: Excellent , IF YOU ARE INTERESTED EMAIL ME AT: hedwig. gouchie@vfemail. net . Electric , Automatic , drive: rear-wheel , hatchback , 2 doors , White , 79496 th. miles , condition: Used , IF YOU ARE INTERESTED EMAIL ME AT: margaritosarwar@netzero. net . Gasoline , Manual , drive: rear-wheel , coupe , 2 doors , Black , 132857 th. miles , condition: Used , E-Mail Questions at: heidehmmauser@guy2. com . Gasoline , Manual , drive: rear-wheel , coupe , 2 doors , Red , 99700 th. miles , condition: Used , If you have more questions or want more details please email : gonzalogkkullmann@cricketfans. net . Gasoline , Automatic , drive: four-wheel , coupe , 2 doors , Gray , 6100 th. miles , condition: Good , Please message me with questions at: karylserens@juno. com . Gasoline , Automatic , drive: rear-wheel , convertible , Silver , 25476 th. miles , condition: Used , If you have any questions or would like to view the car in person please email me at: rubirwwent@devotedparents. com . Diesel , Automatic , drive: four-wheel , coupe , 2 doors , Black , 31000 th. miles , condition: Excellent , I am always available by mail at: lulutraicoff@netzero. net . Gasoline , Automatic , drive: rear-wheel , coupe , 2 doors , White , 44878 th. miles , condition: Good , If you have any questions feel free to email me at: danikatigner@juno. com . Gasoline , Automatic , drive: rear-wheel , convertible , Silver , 56095 th. 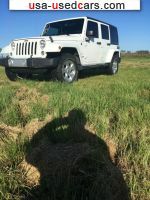 miles , condition: Good , Airbag , CD , Cruise control , Leather seats , Power Windows , If you have questions email email me at: maryloumwwhitver@ukpub. net .